New book, 377 pages. The royal European courts were unsurpassed for their glamour, wealth, fame, danger, treachery, and politics. The royal mistress was at the center of that world - admired for her beauty and sensuality; feared for the power she wielded; even vilified, envied, and resented. In times when women had very little power, the royal mistress had enormous influence, and ye she is seldom mentioned in official histories. 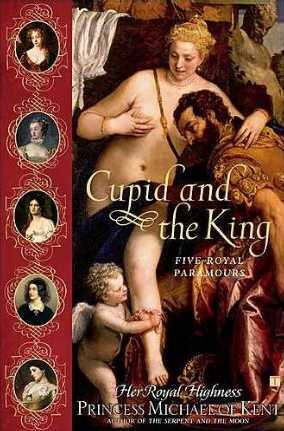 This book tells recounts the stories of five very different women, each of whom became a celebrated - or notorious - courtesan: Nell Gwynn, the bawdy, vivacious orange seller turned actress who endeared herself to Charles II - and the county - with her wit and down-to-earth manner; Madame de Pompadour, the extravagent, elegant mautresse-en-titre of Loius XV who became one of the great patrons of her time while enraging the people of France; Marie Walewska, who became Napoleon's mistress to save her country; Lola Montez, the flamboyant, scandalous Irish beauty who reinvented herself as a Spanish aristocrat to win the heart of Ludwig I of Bavaria; Lillie Langtry, the legendary beauty immortalized by the most famous artists of her day and the only woman to completely monopolise Edward, Prince of Wales, later Edward VII. This item was added to our catalog on Friday 09 November, 2007.